This Christmas, I’m sure Santa’s sleigh will be laden with the usual haul of bikes and scooters. Here at Shenanigans Central, we’re expecting a delivery – this year our Mr 3 is getting his first big boy scooter. Last year it was Mr 8’s turn for a new bike. A few years before that it was scooters for our eldest boys. Are you expecting a delivery at your place? 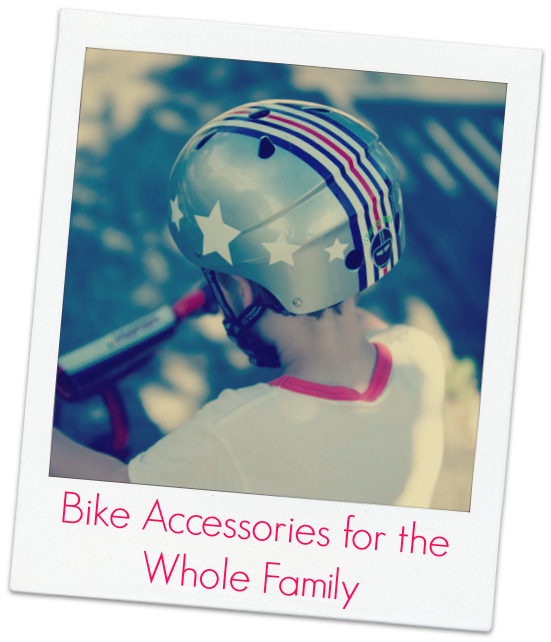 Even if Santa is sorting the vehicle side of things for the kids, there are also the accessories to think about – helmets, bike locks and whatnot. If you’re time poor like me and prefer to do Christmas shopping online, CycleStyle can get you sorted – not just for the kids but for women and men too. 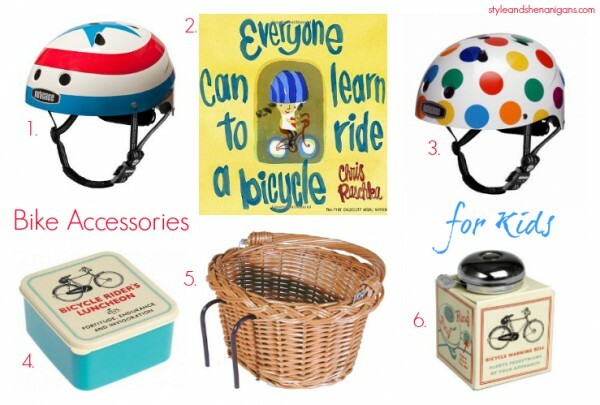 CycleStyle is an online store full of fun, stylish and practical bike accessories for the whole family. Some of the products are nothing short of pure genius – bicycle wine holder, I’m looking at you. CycleStyle is run by Melbourne Mum Joyce Watts. And Joyce knows a thing or two about cycling – she likes to ride her bike everywhere and began her business because she didn’t want to wear figure-unforgiving lycra and use boring black bike accessories – but in all the bike shops she looked she couldn’t find fashionable cycling bags, accessories and clothing for men and women that looked just as good off the bike. So she decided to source the best in cycle chic clothing and accessories from Europe, the UK and US and present them to style savvy cyclists in one fabulous online store – CycleStyle. 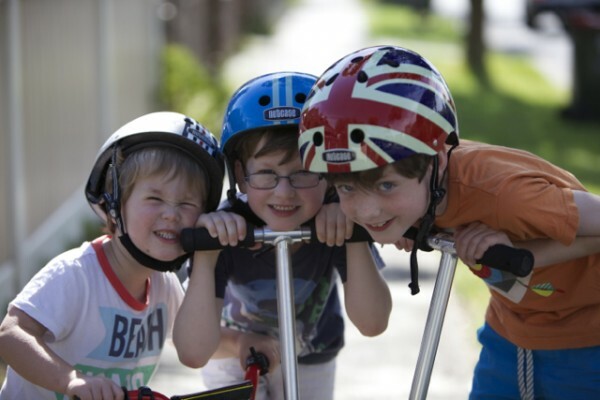 I first met Joyce last December when I went to The Big Design Market and bought three super cool Little Nutty helmets (1 and 3 below) for my kids, having had them personally recommended to me by a close friend. I loved the look of them, the cool designs and the fact it is easy to adjust the straps and the clasp is easy to use too. If you’ve got the bikes/scooters/helmets sorted, this book (2) is a great idea for kids who are just beginning to learn to ride their bike. 1. Speed Star Little Nutty Helmet, $89.95; 2. Everyone Can Learn to Ride a Bicycle book, $24.95; 3. Dots Little Nutty Helmet, $89.95; 4. Classic Bicycle lunch box, $9.95; 5. Wicker Basket, Oval, $39.95; 6. Classic Chrome Bell, $9.95.I would have LOVED one of these wicker baskets (5) as a kid. I would have used it to stash my barbies or my Cabbage Patch kid on my way to the milk bar for 20c worth of mixed lollies. (If my kids had one of these, I am quite certain it would be full of Lego). I also couldn’t go past this retro cute lunch box (4) and bell (6) – both fun and practical gifts not to mention great stocking filler options for kids or grown ups. 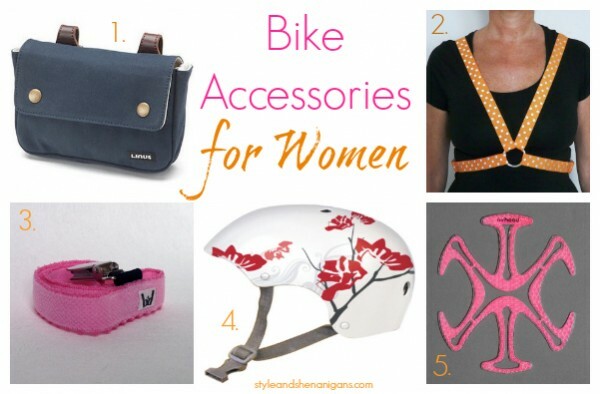 For girls, the Coral Bike Ride Wristlet is a great option too. Also check out this super cool Nutcase Helmet Removable Sun Visor, $19.95 and Omni Wearable Rider’s Light in Red, $39.95. Plenty of blokes around our neighbourhood ride to work or on the weekends with their families. If you know a fella who loves his bike, he might be very pleased to find some of these practical but cool accessories under the Christmas tree. 1. The Interlock Bike Lock, $69.95; 2. The Wingman Bicycle Garment Bag, $189.95; 3. Six Pack Bicycle Frame Cinch, $34.95; 4. Bicycle wine rack, $34.95; 5. Stuffits Shoe Drying Inserts, $19.95; 6. Bikerax MiniRax One Bike Wooden Bike Rack, $99.95.Can I just take a moment here to draw everyone’s attention to the six pack (3) and wine holders (6)? This is where style meets practical and could be the answer to your Kris Kringle dilemma (you’ll find more KK gift ideas here). 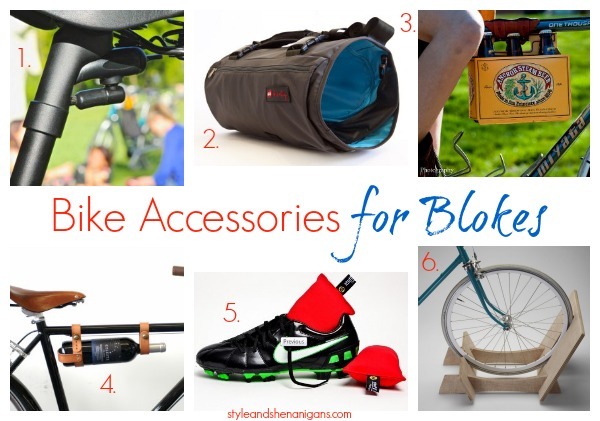 The garment bag (2), key lock (1) and shoe drying inserts (5) are fab ideas for blokes who ride to work too. Women get more than a look in too of course. Joyce has handpicked a great range of stylish and practical accessories for women cyclists from the skirt garter (3) which keeps your skirt sorted to the genius idea of a helmet liner (5) which ventilates, reduces perspiration and the flattening of your hair so you can arrive at your do/work looking fab and without helmet hair. That’s a serious win right there. A gorgeous print on a helmet and polka dots on a reflective harness? Yes please. 1. Linus Bike Pouch, $39.95; 2. Women’s reflective harness, $29.95; 3. Women’s skirt garter, $14.95; 4. White Ocean Flower Helmet, $49.95; 5. Candy Airhead Helmet Liner, $29.95.If you’d like to check out the range in person and chat to Joyce, CycleStyle will be at Piccadilly Market in Geelong on the 29th – 30th of November and The Big Design Market Melbourne from 5th – 7th of December. CycleStyle will also be offering order pickup from 1 December from MBE Carlton in Cardigan St, Monday to Friday from 8.30-5pm. Is Santa delivering a bike or scooter at your place this year? Are you or do you have any cycling enthusiasts at your place? Would you ride a bike more often if helmet hair was a thing of the past? To find the perfect gift or to join Kimba Likes Christmas Gift Guide Link Up, check out the linky below.